Susan Ashford is the Michael and Susan Jandernoa Professorship in Management and Organizations at Michigan Ross and the Area Chair of the Management and Organizations group. 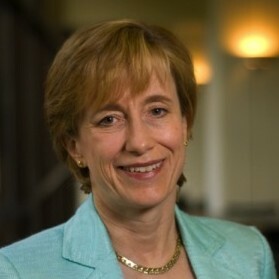 On the Ross faculty since 1991, she taught previously at the Amos Tuck School of Business, Dartmouth College (1983-1991). Professor Ashford works with executive audiences in the areas of leadership and leadership development, negotiation, managerial skills and effectiveness, and bottom-up organizational change. She teaches the negotiation course within the EMBA program and the capstone leadership course within the WMBA program. Professor Ashford received her MS and PhD degrees from Northwestern University. She has taught in executive development programs at the University of Michigan, Dartmouth College, and Duke University, and for Eli Lilly, Johnson & Johnson, Whirlpool Corporation, and the Corporate Leadership Center’s Leading Women Executives program. She has consulted to various organizations, including General Electric and Merrill Lynch. Professor. Ashford has also served as a trainer for the management simulation project at New York University, working with executives from various organizations on their strategic and interpersonal skills. Professor Ashford’s current research interests include leadership development and effectiveness, issue selling, self-management, and proactivity. Her research has been published in a variety of outlets, including Academy of Management Review, Academy of Management Journal, Administrative Science Quarterly, Strategic Management Journal, and Journal of Applied Psychology. Professor. Ashford is an Associate Editor for the Annual Review of Organizational Psychology and Organizational Behavior and is currently a member of the editorial board for the Academy of Management Journal. Professor Ashford is a Fellow of the Academy of Management professional association. She served as an Associate Dean for Michigan Ross from 1994-1995, as the school’s Senior Associate Dean from 1998 – 2002 and as the Associate Dean for Leadership Programming and the Executive MBA from 2006-2010.